No one knew who built the ancient tower that loomed beside the coast. The young girl figured water must have once flowed down its giant aqueducts into her village, but even her grandfather couldn’t remember seeing the mill’s old water wheel turn. These days it is the job of her and the other children to journey to-and-from the tower to collect what little water bubbles up in the caves beneath it. But everything is about to change when she awakens a mysterious glowing orb buried beneath the puddles. Images long hidden on the cavern walls now glow with hints of a new hope for her drought-stricken village, and the sealed door of the tower sits ajar for the first time in centuries. With her curious companion in tow, the young girl bravely enters the crumbling ruins of the ancient machine to discover if its long-held secrets hold the key to her future. 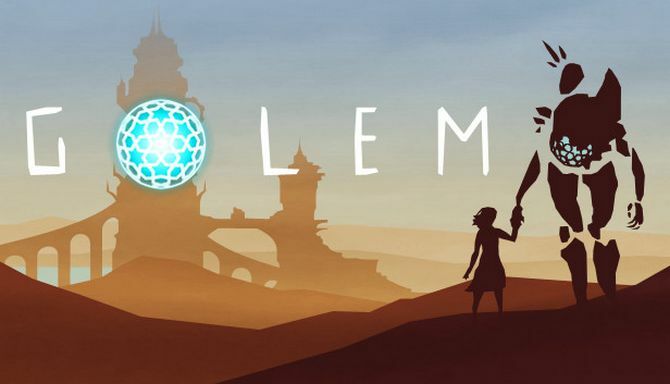 Golem is a heart-warming adventure about a young girl and a shape-shifting golem who must navigate the ruins of an ancient tower to solve its challenging puzzles and re-activate its long-dormant machines.